Pamela Dorman Books, 9780670021895, 224pp. In the early 1800s, a young Italian contessa, Carolina Fantoni, realizes she is going blind shortly before she marries the town's most sought-after bachelor. Her parents don't believe her, nor does her fiance. The only one who understands is the eccentric local inventor and her longtime companion, Turri. When her eyesight dims forever, Carolina can no longer see her beloved lake or the rich hues of her own dresses. But as darkness erases her world, she discovers one place she can still see-in her dreams. Carolina creates a vivid dreaming life, in which she can not only see, but also fly, exploring lands she had never known. 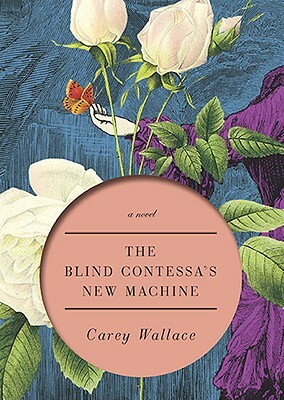 Based on the true story of a nineteenth-century inventor and his innovative contraption, "The Blind Contessa's New Machine" is an enchanting confection of love and the triumph of the imagination.